Jews are often associated as scheming merchants who love money because in the Middle Ages Christians were forbidden to lend out money with interest, and Jews were not. 2. In 1254 Möngke Khan, grandson of Genghis Khan hosted a religious debate between Christian, Muslim and Buddhist theologians. The debate ended with the Buddhists sitting silently as the Christian and Muslim debaters sang loudly at each other. Then they all got drunk. 3. Redbad was the last pagan King of Frisia (northern Netherlands), refused to convert to Christianity because he "preferred spending eternity in Hell with his pagan ancestors than in Heaven with his enemies." 5. Mohammed wrote an open letter to Christians that declared their right to self-governance, protection for churches and monasteries, and freedom to practice their religion openly in Muslim controlled areas. Muslims are commanded to follow this until the end of time. 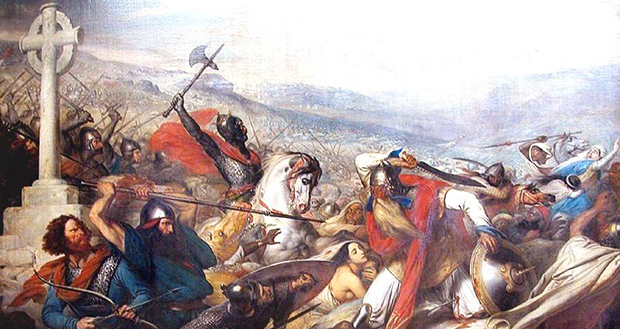 Historians believe the fate of Christianity hinged on the Battle of Tours (732 A.D.) where an Arab invasion force was defeated by a Frankish force in present-day France, preventing the spread of Islam to all of Western Europe and preserving, Christianity as the religion of Europe. 7. Romans used to call Christians atheists because they didn't pay tribute to their gods. 8. The US founding fathers formally said,"the Government of the United States of America is not, in any sense, founded on the Christian religion" in the Treaty of Tripoli. 9. There was more time between the start and finish of the Great Wall of China than between the start of Christianity and present day. 10. St. Augustine, in the 4th century, wrote that Christians should not interpret Genesis literally because if science proved it otherwise, Christian witness would be gone. Vladimir the Great of Russia was confronted with the choice of converting Russia to Christianity or to Islam. He eventually chose Christianity, because of Islamic teaching on alcohol, saying, "Drinking is the joy of all Rus'. We cannot exist without that pleasure." 12. In the second Matrix movie, Agent Smith's license plate is "IS 5416", which refers to Isaiah 54:16 from the Bible: "Behold, I have created the smith that bloweth the coals in the fire, and that bringeth forth an instrument for his work; and I have created the waster to destroy." 13. There was a religion in medieval Europe called Cathar. It was a splinter of Christianity, and they held beliefs such as women and men being equal and homosexuality being tolerated. 14. A man named Clyde Lott in Nebraska is breeding red cows and sending them to Israel in hopes of a pure red heifer being born there. Such an event will allegedly prompt Jews to build a Third Temple, which fundamentalist Christians believe will usher in Jesus' Second Coming. 15. Laws mentioned in the bible required farmers to leave parts of their fields unharvested for strangers, a practice that still exists in parts of the world. 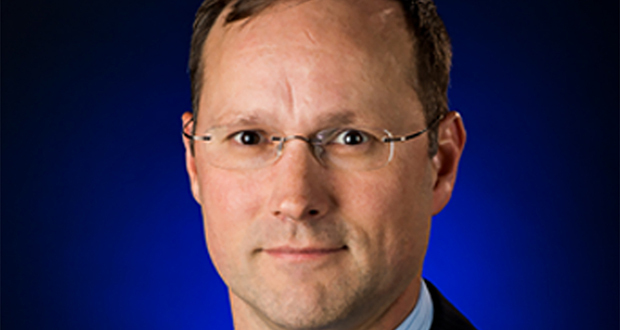 David Barrett is an aeronautics engineer who resigned abruptly after seeing a vision of Jesus. He then spent 40 years single-handedly compiling the first and only complete list of Earth’s 10,000 existing religions and 33,830 denominations of Christianity. This led him to all 238 countries on Earth. 17. There is a version of the Bible translated into Hawaiian Pidgin called 'Da Jesus Book'. 18. Jehovah's Witnesses don't celebrate birthdays because the only two accounts of birthday parties in the Bible resulted in murder. 19. The keys to the holiest site in Christianity (Church of the holy Sepulchre) are held by a Muslim family that opens the church every morning. Meant to keep the peace between the denominations, this arrangement has been in place since 1187 A.D.
20. In 1974, fundamentalist Christians in Kanawha County were so upset over "immoral" books like "Autobiography of Malcolm X" being introduced to local schools they dynamited a school, attacked school buses with shotguns, and planted a bomb at a school board member's home. 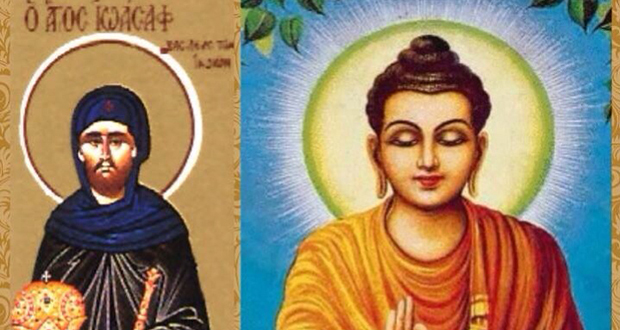 The Buddha's story appears in Christianity as the legend of St. Josaphat and in Islam as the legend of Budasaf. 22. Christianity, Islam, and Judaism all worship the same Abrahamic god. Their religious texts also feature many of the same figures, histories, and places. Jesus is also a Muslim prophet. 23. Unlike most bronze sculptures of Roman emperors, the equestrian statue of Marcus Aurelius was not melted down during the Middle Ages because Europeans of that time thought it was a statue of Constantine, the first Christian emperor of Rome. 24. In 1950, Pope Pius XII confirmed there was no conflict between Christianity and the theory of evolution, and the Church supports the idea of theistic evolution. 25. One of the scholars (John M. Allegro) who translated the Dead Sea Scrolls was convinced that Christianity was based on an ancient psychedelic mushroom and fertility cult. That Eastern Lightning outfit straight up murdered a woman at a McDonald’s because she refused to give them her cellphone number so they could contact her. See the Wikipedia article about the Zhuayuan McDonald’s Cult Murder. The def of Christianity is the religion based on the person and teachings of Jesus of Nazareth, or its beliefs and practices. Therefore all facts about Christianity would come from the Bible which is the absolute foundation of Christianity and the actual word of God, Jesus’ Father. “He had no beauty or majesty to attract us to Him, nothing in His appearance that we should desire Him”. Along with the knowledge that He was a Jew, we have a pretty good idea of His appearance. Readers of this article…if you want facts about Christianity, read the Bible, NOT this article. How is saying he’s not desirable looking (aka not ‘hot’), a description? That’s merely an opinion, which may not be shared by everyone.. It gives absolutely no description of his appearance, whatsoever. It’s as vague as me saying I met a guy who was very handsome or very ugly. It means absolutely nothing, beauty is in the eye of the beholder..